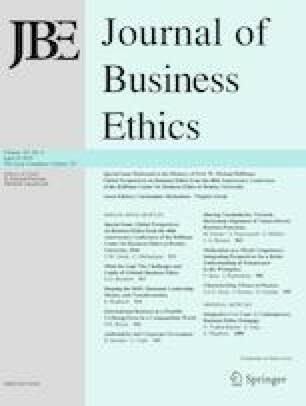 The paper argues that an ethical firm has cause to realize and to respect, in good faith, the decision of workers regarding labor unions, and proceeds along the following lines. First, the employer is due appropriate deference the bounds of which should be determined in conjunction with employees, as they are the most closely affected party. Second, employee preferences for defining the employment relation and appropriate deference are best reflected through autonomous voice. Third, autonomous voice is assured by the right to free association and generally achieved through labor unions. Fourth, because employment is so important to a dignified existence, an economically just system of employment requires respect for workers’ choice regarding labor unions. And fifth, there are concerns and contradictions that arise from labor union operations, but they do not justify impeding a morally valid prerogative. United States 57th Congress. (1902). A Compilation of Documents Relating to Injunctions in Conspiracy Cases, Together with Arguments and Decision of the Court in the of Case Commonwealth v. Hunt 4 Metcalf etc. US Government Printing Office. http://books.google.com/books?id=kUbvDMTxgpwC&dq=A+Compilation+of+Documents+Relating+to+Injunctions+in+Conspiracy+Cases&printsec=frontcover&source=bl&ots=gAdSBQjnwd&sig=uhuWms6pFAshEmnavWREhAnsYo&hl=en&ei=FwhdSpjtKoa2MMTJva4C&sa=X&oi=book_result&ct=result&resnum=1. Retrieved on Mar 29, 2016.